Menu — Green Brothers Juice Co.
cinnamon, himalayan crystal salt & filtered water. day followed by a clean, veggie-rich dinner. 12 Cold-pressed juices & 2 wellness shots. 18 Cold-Pressed juices & 3 wellness shots. Our most popular cleanse length. 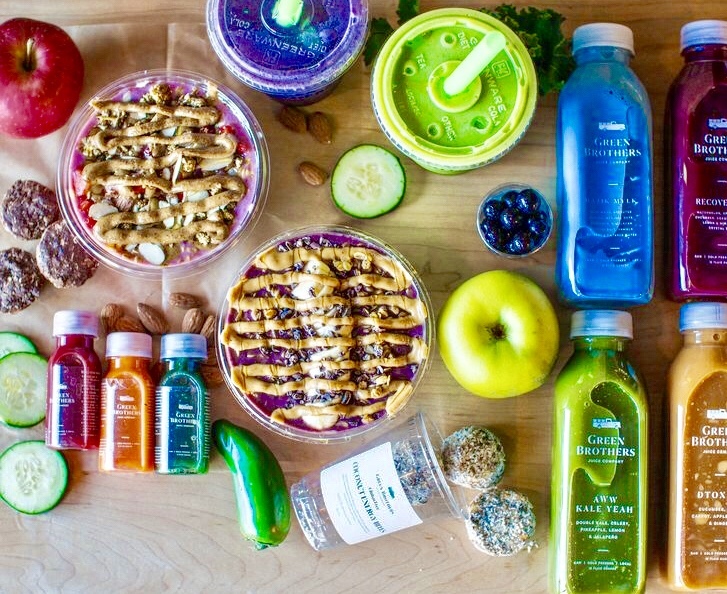 30 Cold-Pressed juices & 5 wellness shots.